Hello friends of the world! Today I have the new Cirque Colors Facets 2018 Collection for you! 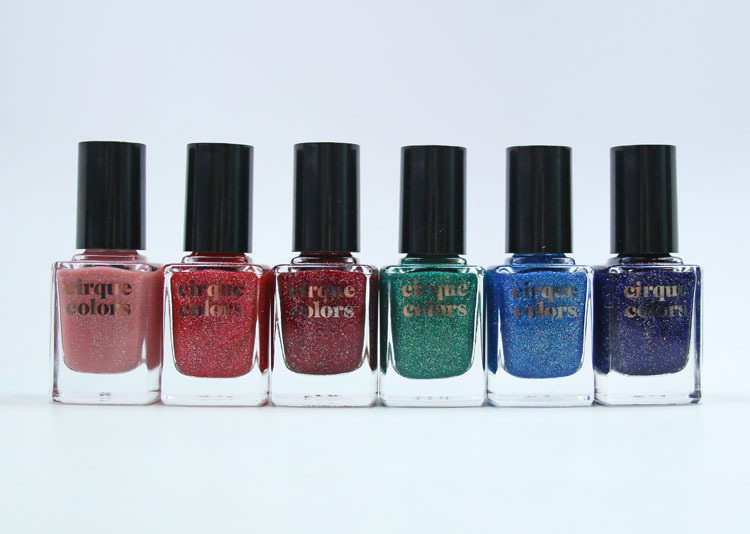 The Cirque Colors Facets 2018 Collection features six brand new super shimmery holographic nail shades. All of these had a great formula and only needed two coats to cover completely. 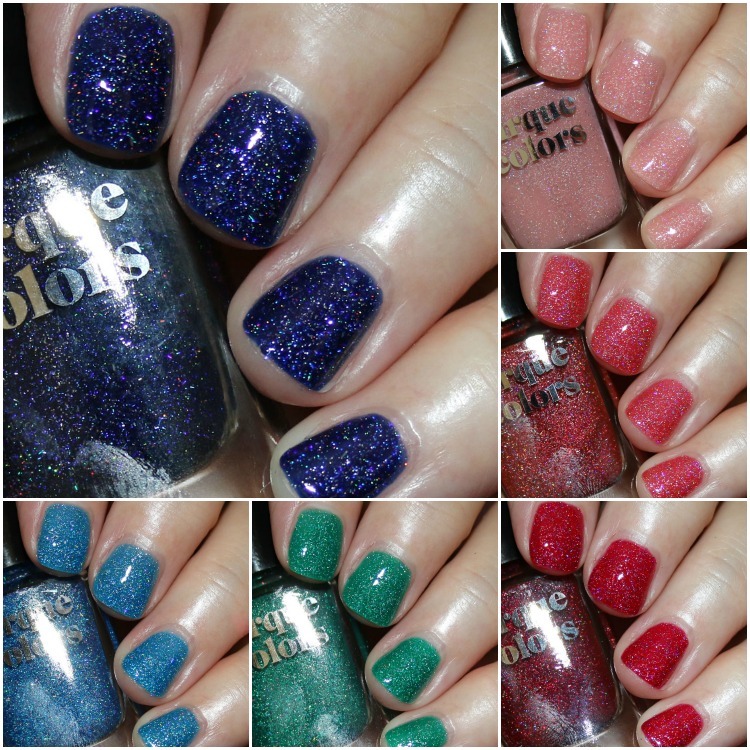 They are smooth, shiny and the holo definitely shines through, though with some of them it’s on the tamer side. Rose Quartz is a pale rose pink with scattered holo shimmer. The holo effect in this one isn’t super strong, but definitely there. Padparadscha is an orange/red with pretty strong scattered holo shimmer. Ruby is a saturated ruby red with strong holo shimmer. Emerald is an emerald green with more subdued holo shimmer. Zircon is a medium blue with scattered holo shimmer. 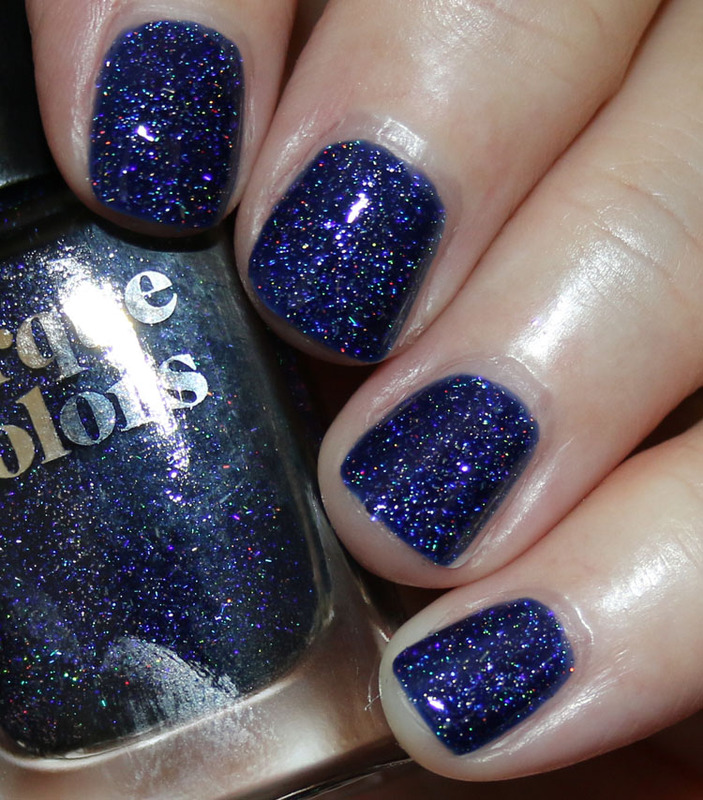 Sapphire is a deep sapphire blue with strong scattered holo shimmer. The Cirque Colors Facets 2018 Collection is available starting today and they are $12.50 each. See anything here you are enamored with? Oh my! Rose Quartz is calling my name! I love those sheer, delicate pinks! Wow! I’m in love with those blue colors! I swear the last thing i need is another blue polish but egad, sapphire is mesmerizing! Love the colors! What a variety! Wow, these are all gorgeous! I love scatter holo so much. Rose Quartz and Sapphire are my favorite. Rose quartz has got to be my fave! Very unique collection, lots of goodies in this one. Oh, man, I agree that the ruby and sapphire are speaking to me! Gorgeous !